Ing. 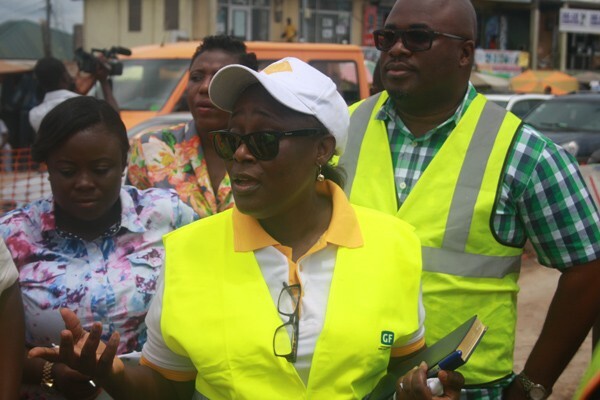 May Obiri-Yeboah, Executive Director for NATIONAL Road Safety Commission (NRSC) says pedestrian deaths on our roads would be reduced if road contractors and consultants put up measures to improve safety of pedestrians and other road users. According to NRSC boss, pedestrian deaths which is the highest when it comes to fatalities on our roads, accounts for an alarming rate of about 48 percent. Ing. Obiri-Yeboah made this known on Thursday in Accra when the NRSC inspected the Kasoa and Kwame Nkrumah Circle Interchange projects to ensure that projects had measure to protect pedestrians. “The Circle and Kasoa over pass are two big projects that have flyovers and as a commission, we are concerned about the safety of pedestrians and even motorists. We have been assured by the consultants and the contractors that a lot of things have been addressed concerning these two stakeholders –driver or motorists and pedestrians-,” she stated. She expressed worry about the springing up of markets around the project sites which according to her could result in conflict between motorists and pedestrians. “If all the things we have discussed with the consultants and contractors are taken into consideration, this would be a very nice project,” she said. Ing Ludwig Hesse, Resident Engineer on the Kasoa Interchange project said several measures had been taken to decongest the area to prevent pedestrians and motorists’ conflict. “The principle is that at every 500metres, an opportunity for safe crossing facility would be provided for pedestrians. All crossing points have been agreed upon with the contractor and they would be provided. We also have terminals which are being done to help decongest the area,” Mr Hesse emphasized. Deputy Commissioner of Police Awuni Angwubutobge, Director General of the Motor Traffic and Transport Department (MTTD) commended the consultants and contractors on the two projects and urged them to speed up with the construction of markets and terminals to ease the traffic situation around the project.